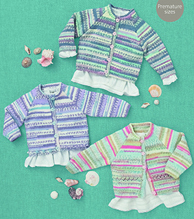 Sublime 6101. 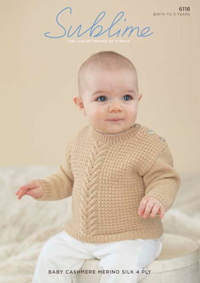 4 ply baby bootees and shoes in moss stitch, garter stitch and stocking stitch to fit 0-2 years and shown in Sublime Baby Cashmerino Silk 4 ply. 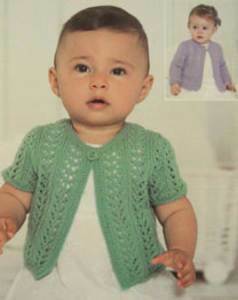 Sublime 6099.4 ply coat with flat collar and matching bonnet shown using moss stitch and garter stitch. 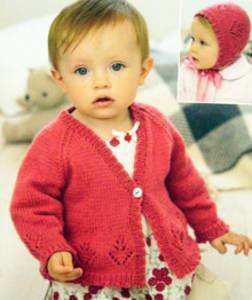 Shown in Sublime Baby Cashmerino Silk 4 ply to fit 0-3 years, 41-56cm and 16-22ins. 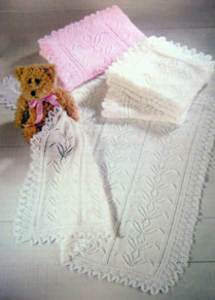 Sirdar 1206. 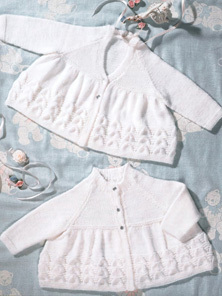 Raglan cardigan with flower eyelet border, picot ribbed edging and single button plus matching bonnet, shown in Sirdar Snuggly 4 ply. 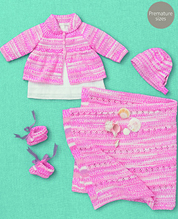 Fits 0-7yrs, 41-66cm (16-26in). 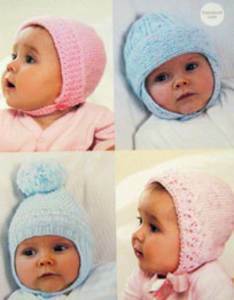 Sirdar 1330. 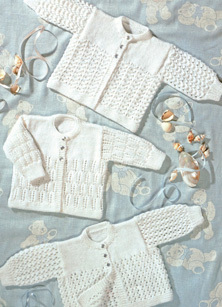 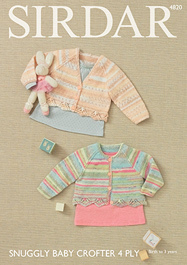 Lacy cardigan (4 row repeat), with long or short sleeves has garter st trim, shown in Sirdar Snuggly 4 ply. 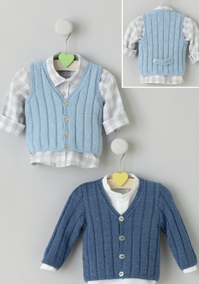 To fit 0-4yrs, 41-66cm (16-26in). 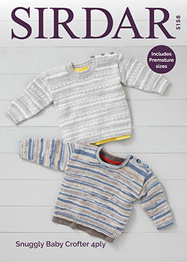 Sirdar 1373. 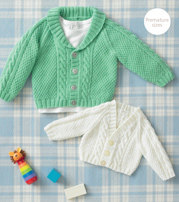 V neck cardigans with set in sleeves in moss st or garter st ridge pattern, shown in Sirdar Snuggly 4 ply. 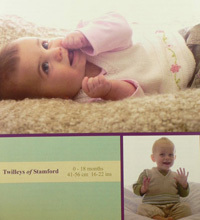 To fit premature to 3yrs, 31-56cm (12-22in). 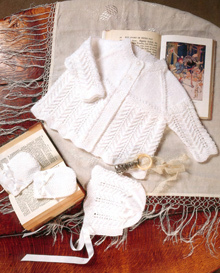 Sirdar 1487. 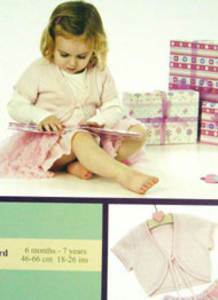 4 designs for shoes and bootees shown in Sirdar Snuggly 4 ply inc cute ballet slippers. 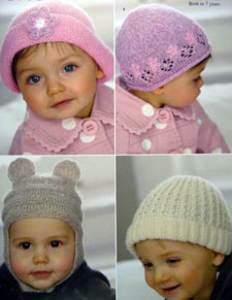 3 sizes to fit 0-2 years. 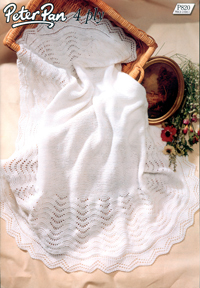 Sirdar 1750. 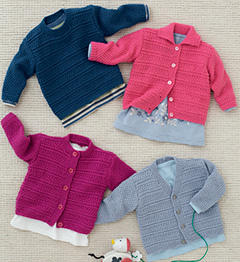 Raglan cardigan with neckline variations and cable panels. 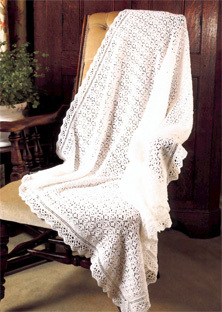 Includes premature size, 30-56cm (12-22in). 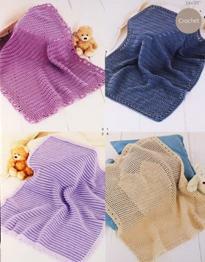 28st/ 36 rows to 10cm 3.25mm needles. 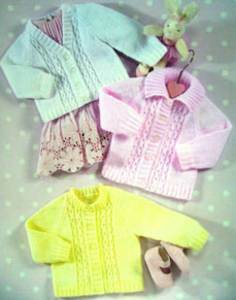 Sirdar 3029. 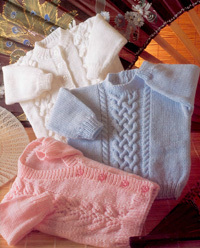 3 ply knitting pattern for v neck and round neck cardigans with lace panels and optional embroidered flowers. 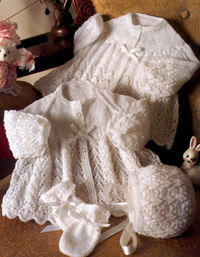 Includes premature size 31-46cm (12-18ins). 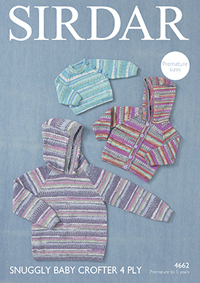 Tension 28sts/42rows to 10cm on 3.25mm needles. 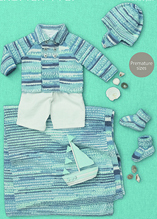 Peter Pan 831. 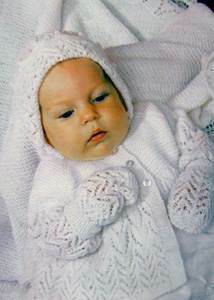 4 ply knitting pattern for a pram set including lace matinee coat, leggings, bonnet and mitts in easy 4 row repeat (1 pattern row). 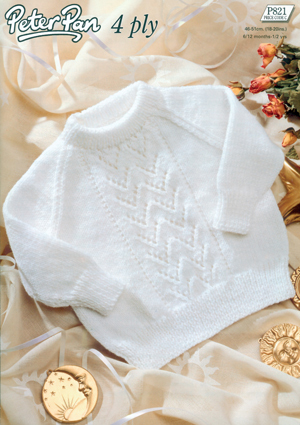 Knitted in 4 ply to fit 41-56cm (16-22in). 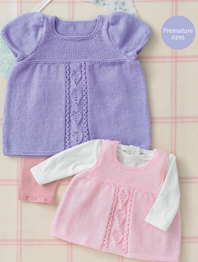 Twilleys 9112. 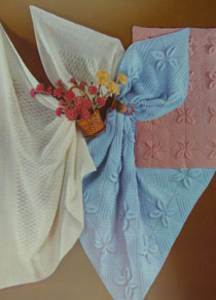 4 ply knitting pattern for a short sleeve bolero with rolled and ribbed edging and tie. 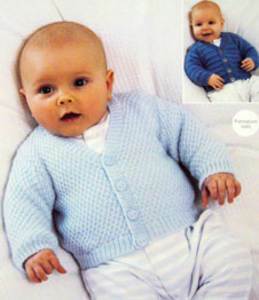 To fit babies and children from 6 months to 7 years, 46- 66cm (18- 26in). 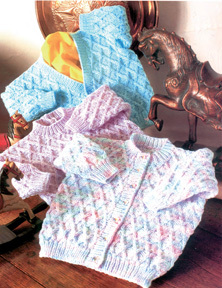 Sirdar 1325. 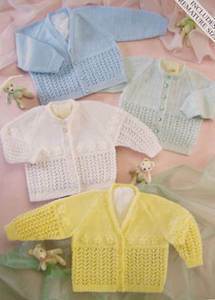 Pretty lace cardigan (4 row repeat) with long or short sleeves has round neck and single button fastening. 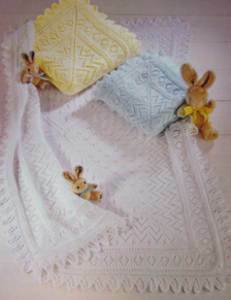 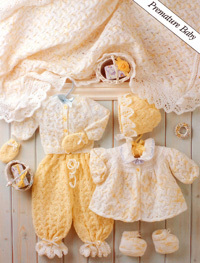 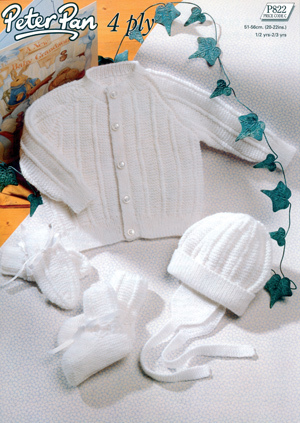 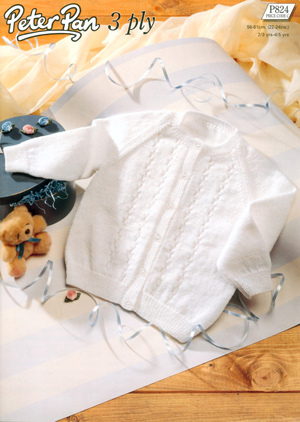 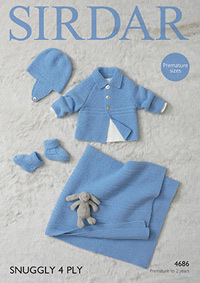 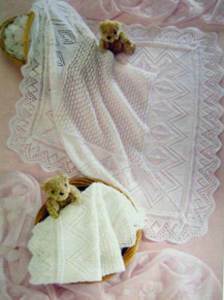 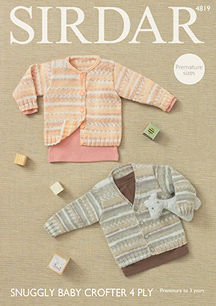 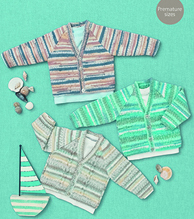 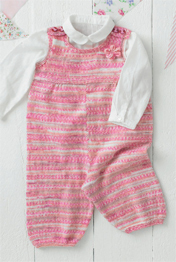 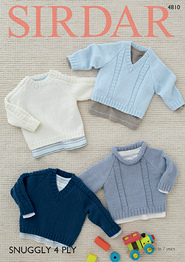 Shown in Sirdar Snuggly Baby Bamboo, to fit 0-7yrs, 41-66cm (16-26in).